Why? 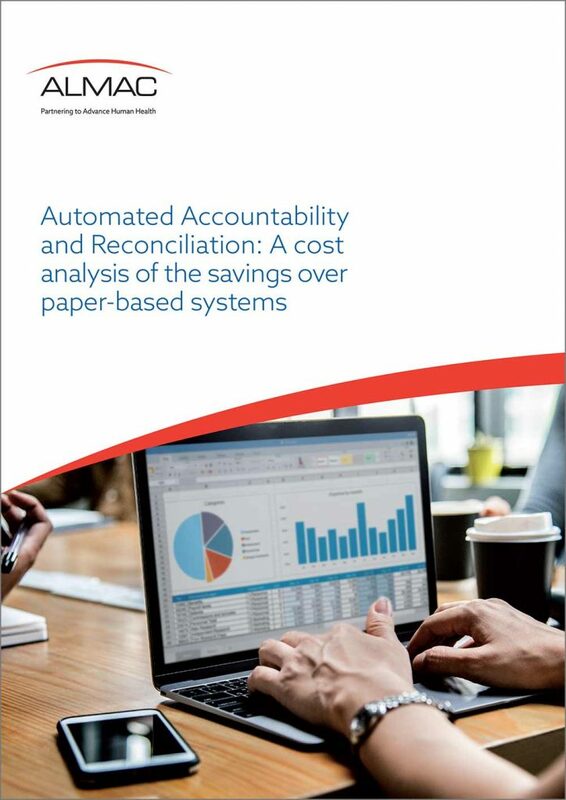 Because an automated accountability and reconciliation process cuts costs and shortens timelines. Download to see the results of a recent survey (sponsored by Almac Clinical Technologies) of study coordinators, clinical operations staff, and CRAs / study monitors which looked at the time spent on reconciling supplies, resolving discrepancies at sites, and completing close-out activities for those using paper-based processes vs. those using automated and electronic solutions. Looking to employ these kinds of savings now? Almac Clinical Technologies' expert team is here to help. Click here to reach out to one of our team members.